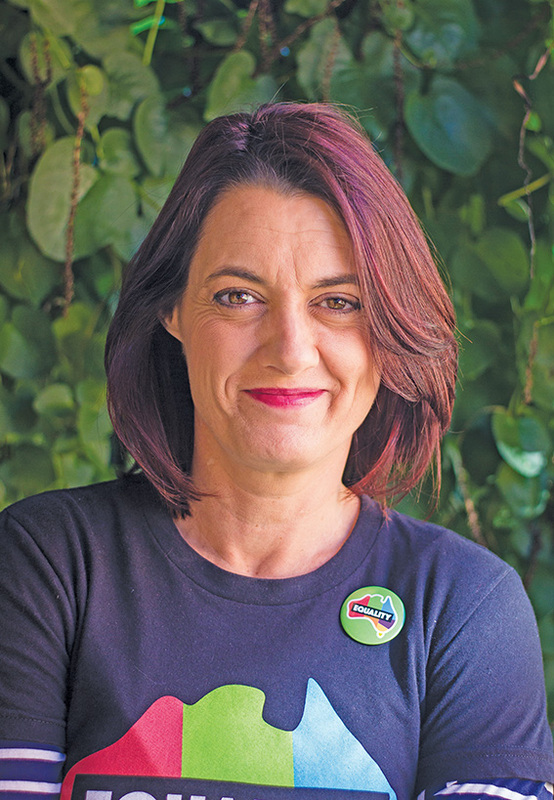 SONIA GURRIN was surprised when people wrote to the Voice, expressing their disgust that Bayswater council and others local governments had voted to support marriage equality in Australia. In this week’s SPEAKER’S CORNER, she argues that councils should not just deal with rates and rubbish, but are elected to represent the majority of their constituents and should push for equal rights. MARRIAGE equality—so what’s all the fuss about? Why are people getting pies thrown in their face, why are more and more local councils supporting marriage equality? Why is Margaret Court handing in her Qantas boarding pass? Just why are lesbians and gays wanting to get married and why are straight people, big corporations and so many different religious leaders and organisations standing alongside them? Why is equality becoming everyone’s business? Australia is a country of acceptance and compassion, of standing up for what’s right and fighting for a fair go for everyone, especially those who are without what most people already have readily available to them. The majority of Australians are good natured and kind and just want to get on with their lives and be happy. The majority of straight people want gay people to be able to do the same, including being able to marry. The majority of politicians in Canberra want the same. Many Christians and people of different faiths believe in compassion, kindness and equality. More than 20 countries have marriage equality and the list is ever growing, just last week Taiwan became the first Asian nation to approve equal marriage. As a decent and fair nation, our attitudes have evolved over time on a range of issues, including race, sexuality and gender. Australia has a history of wanting to be, and becoming, a fairer and more equal country. In 1902 we made voting rights available to every adult Australian, regardless of their gender, and in 1967 we made citizenship rights available to every adult Australian, regardless of their race. Treating people unfairly and unequally is a thing of the past. The vast majority of Australians believe it’s now time to make marriage available to every adult in Australia, regardless of their sexuality. We are the only English-speaking developed country to not have marriage equality. Even a 2017 senate inquiry recommended a parliamentary process is the best way forward. It’s time our federal members of parliament did the job they are paid to do. Call them up, write to them, meet with them and tell them to do just that. As a people and a nation and a society, we have decided that discrimination, unfairness and inequality is not okay, and that targeting minorities is wrong, and oppressing those different to us is wrong, illegal and against Australian values. Not tolerating, supporting, condoning or enabling discrimination is the business of a good government, at all levels of government. It is downright un-Australian to say that only some people are worthy of getting married, and that marriage should be elite and reserved for the majority. A government that denies marriage, or a level of government that opposes supporting the concept of marriage equality, to those who pay rates, taxes, abide by laws, risk and lose their lives at the request of their country, and contribute to society in all the same ways as a straight community do, is gleefully taking advantage of the giving loving spirit that is Australian. A government that denies equality is committing bullying of the highest form. It is an out of control ego-centric elitism that supports the Orwellian premise that all Australians are equal, but some Australians are more equal than others. Denying anyone the rights, benefits, entitlements and practices accessible to the majority is a misuse of power in a country that abhors unfairness and legislates against discrimination in every other aspect of life. Over 1200 organisations publicly support equality, including 46 local governments in Australia, and proudly my own Bayswater council has also shown true progressive leadership by endorsing a motion to support the concept of all Australian citizens being allowed to marry. The National General Assembly of local government passed a motion in June 2016 calling on the federal parliament to vote for marriage equality, and the state parliament passed a motion supporting marriage equality in 2015. Equality cannot, by definition, be a concept availed to the majority. Fear-mongering the bizarre notion that equal marriage is pandering to the 2 per cent of the population who identify as gay, misses the point completely. Whether your household, street, suburb, local council area, state or federal electorate, your workplace, your gym, your pub, your footy club, or your church has a lot or a few gay people, is irrelevant. What is relevant is what the majority of all Australians want—65 per cent of this country wants marriage for all people, and they want it via a parliamentary-free vote process, and they want it in 2017. When the majority want equality for a minority you know that the cause is correct, right and true. In fact it makes all the vicious opposition to equal marriage seem like a case of Much Ado About Nothing.